When you visit our new Riverside Dental office, your smile is our top priority. Our entire staff is dedicated to providing you with the personalized, gentle care that you deserve. We are located on the corner of Burlington & Delaplaine in historic Riverside, IL which is located near the Chicago western suburbs of Brookfield, LaGrange, Lyons, Berwyn, Forest Park, North Riverside, Countryside, Westchester, Western Springs. We are 20 min west of downtown Chicago. We are a block west of the Harlem Ave. BNSF Metra station. Please browse through our website and be sure to give us a call (708-447-2100) if you have any questions or would like to schedule an appointment. Our office hours are... Monday 10am - 7pm, Tuesday 8:30am - 6pm, Wednesday 10am - 6pm, Thursday 11am - 8pm, Friday 9am - 2pm, Saturday 9am - 2pm. However, if you need an appointment time before or after our scheduled hours we will try our best to accommodate you. Riverside Dentists at Orland Family Dental are dedicated to family dentistry such as Exams, Teeth Whitening, Veneers and more. 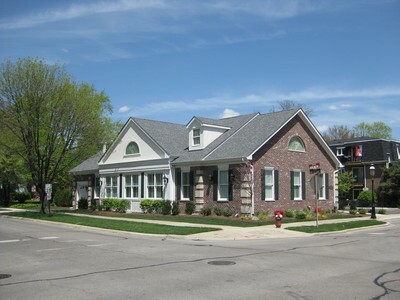 We are looking forward to your visit to our Riverside, Illinois dental office.